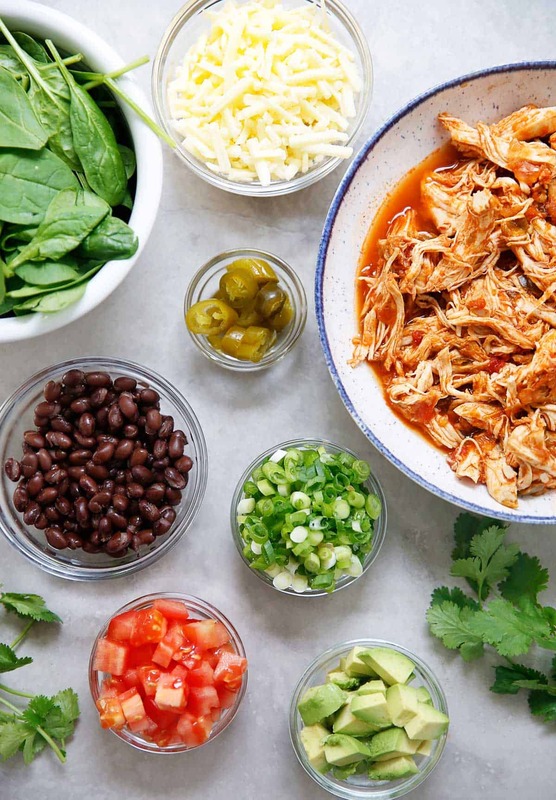 This two-ingredient Salsa Chicken recipe is made in the Instant Pot or Slow Cooker and is the perfect, easy meal prep recipe. 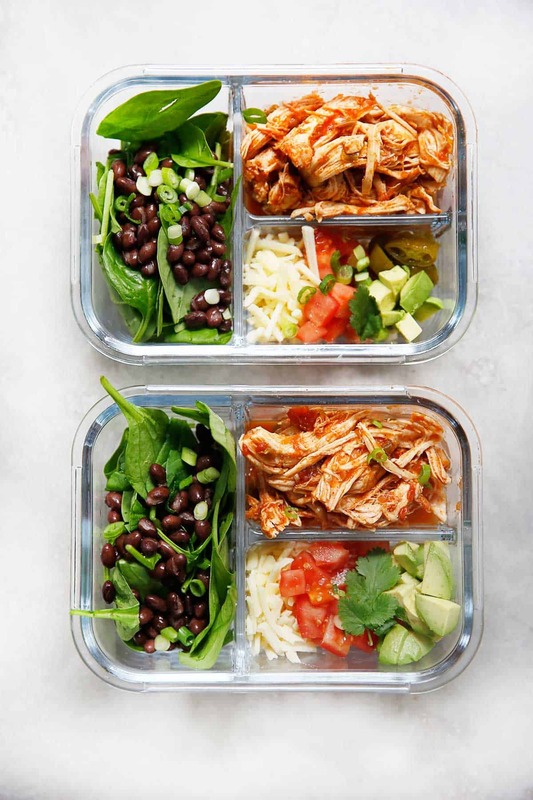 It’s simple, fast, and makes the perfect shredded chicken to put on top of salads, in tacos, in burrito bowls, and so much more! If you love my shredded all-purpose chicken, you will love this easy salsa chicken. I use it in my freezer burritos, on top of salads, and on burrito bowls- to name a few! 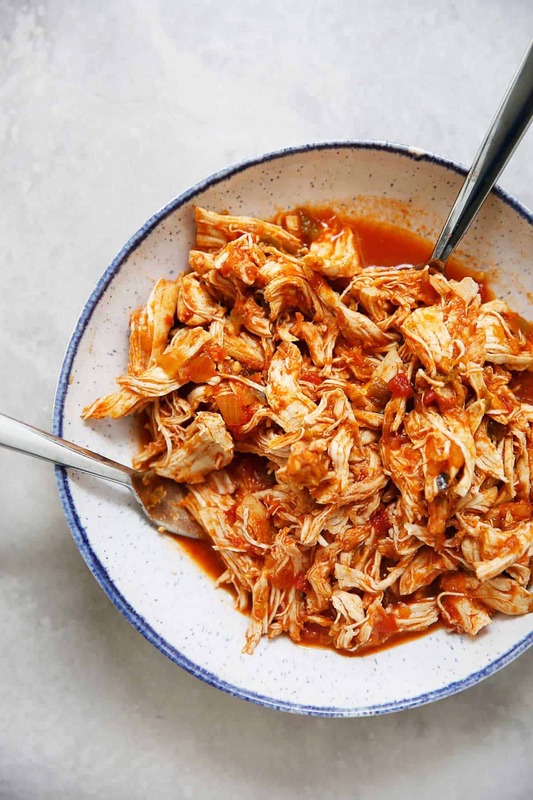 Use green salsa verde or your favorite red salsa for the easiest shredded chicken recipe ever! Shred with two forks and get ready to devour! 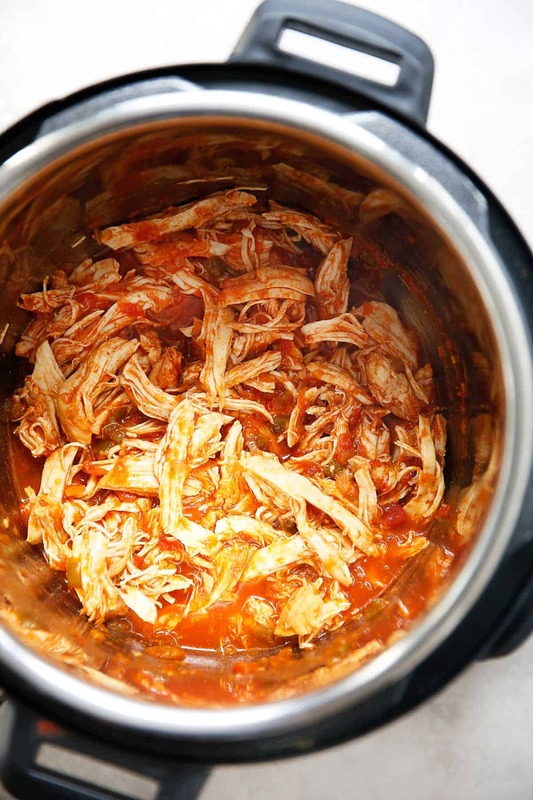 Use the slow cooker or the pressure cooker to make the best, and easiest shredded chicken! How do you make shredded chicken for burritos? I love using the slow cooker or the Instant Pot, but you can also poach your chicken on the stove-top! All three directions are below! The perfect meal prep addition that is so simple to prepare! Place chicken in the insert of your pressure cooker. Add in 1 cup of salsa. Press the Pressure Cook/Manual button, and the + or - button to select 20 minutes on high pressure. Once done, turn the valve to venting for quick release. Once the silver pin drops has, carefully open the lid, remove chicken, and shred with two forks. Serve and enjoy with your favorite fixins! Make my homemade guacamole, for sure! 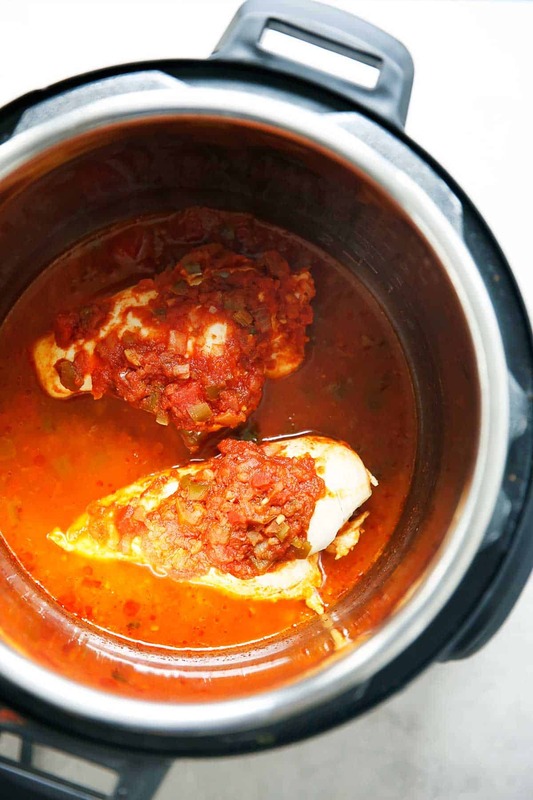 Place chicken breasts in the insert of a slow cooker and cover with salsa. Remove the chicken and shred with two forks. Place chicken breasts into a pot and pour in enough water to cover the chicken. Place over medium heat, bring to a boil, and simmer until chicken meat is no longer pink, 10 to 12 minutes. Transfer chicken breasts to a bowl, allow to cool slightly, and shred the chicken meat with 2 forks! This looks like the perfect chicken to have on hand for meals all week long! Love how easy it is! Josh makes this too! My boys love it! I want my lunch to be like that!! SUCH a great meal prep recipe!! i should”t open your pages with an empty stomach. Simple recipe that can be used for meals all week long. Do you use jarred salsa or deli style salsa? Thanks! what time should you use if you double the chicken?